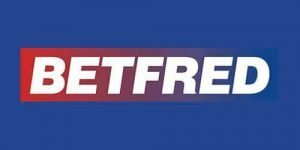 Betfred offers new players a range of free bets and promotions. These welcome gifts all have their own Betfred bonus terms and conditions, which are explained in detail below. If you use this welcome offer, you won't qualify for another welcome offer. You must settle the bet within 60 days of opening your account for the bet to be valid. The sports bets are valid on any sports market for 7 days. The stake amount won't be included in any returns you win. Your first bet must be on cumulative even odds of 2.0 in order to qualify for the welcome bonus. The free spins bonus has no wagering requirements. You must access the casino section within 3 days to accept the offer. The free spins offer expires after 7 days. Open to mobile and internet users. This bonus expires after 7 days. You must stake at least £10 on slots (on 5 minimum rounds). The 50 free spins welcome bonus cannot be used alongside any other offers. This promotion is only for internet and mobile players. The wagering requirement is 10x. This promotion is limited to one per household. Customers must deposit and/or transfer a minimum of £10 into Poker to qualify. Tokens will expire one month after crediting. Make your first deposit of £10 or more and you will be eligible to take advantage of the 200% deposit match bonus up to a maximum of £1200 or currency equivalent. Players have up to 30 days after their first deposit to redeem the bonus. Bonus money will release into the player’s account in cash, £5 chunks for every 750 VIP Points earned or €5 chunks for every 600 VIP Points earned. All players have to be over the age of 18 to register and to place a bet. Customers may be asked to provide proof of age, and those who fail to comply will see their account suspended. Non-UK residents must provide a copy of their passport to support their registration. Only one account is allowed per household. The minimum account deposit is £5. Betfred does not allow American, Australian, Austrian, Belgian, Bulgarian, Canadian, Chinese, Czech, Danish, French, German, Greek, Hungarian, Israeli, Italian, Japanese, Kyrgyz, Latvian, Montenegrin, Norwegian, Polish, Portuguese, Romanian, Serbian, Singaporean, Slovakian, South African, Spanish, Turkish, or Ukrainian residents to open accounts. The minimum selection that you can make are trebles. If your selections contain a match that has been abandoned your bet will be settled at the odds available for the rest of your odds. Both teams have to score for the selection to win. All stakes are settled on 90 minutes played in addition to any injury time added. You can only use one bonus offer at a time. Only available for internet and mobile users. Cashed out bets are not eligible. Any bets exceeding £25 will not be refunded. All bets must be placed before kick-off. Accas placed with a free bet are not included in the acca insurance promotion. The general Betfred terms and conditions apply. Only available to mobile users and those playing via betfred.com. 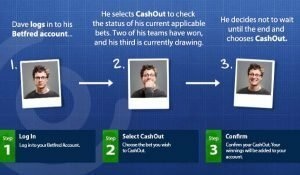 While available to single and multiple bets, CashOut is not supported by every market. Be sure to check before you wager than your preferred market is included. Your cash out total is based on current odds, and not the odds that were displayed when the wager was first made. There is a 7 second delay on the CashOut procedure, so take this into account when choosing when to extract your money. You cannot take out your money if a market has been suspended or closed. Find out more about Betfred casino bonus terms with Betminded's exclusive Betfred promo code.